Almost evenly divided between lands west of the Mississippi that fall mostly into the Nature Could Reach Half category and those that are east of the great river which are Imperiled, the United States presents a complicated conservation challenge. A historic and culturally significant national park system is reason for optimism. Grand Canyon National Park. Photo by Martin Permantier. The benefits of expanding the Nature Needs Half movement in the United States aren’t limited to the ecological health of its 71 ecoregions. They are also political. 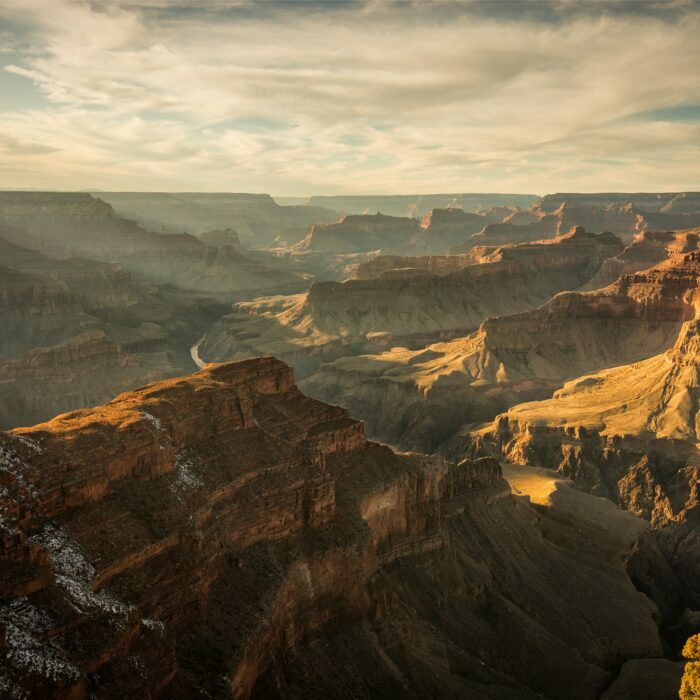 The United States’ prominence in international negotiations as well as its historic commitment to the national parks idea make growing movement values and goals here of special significance. An international alliance of wilderness conservation groups working together to protect wild nature while meeting the needs of human communities - for the benefit of all life on Earth. <p> WFG is a founding member of and an active proponent for Nature Needs Half. 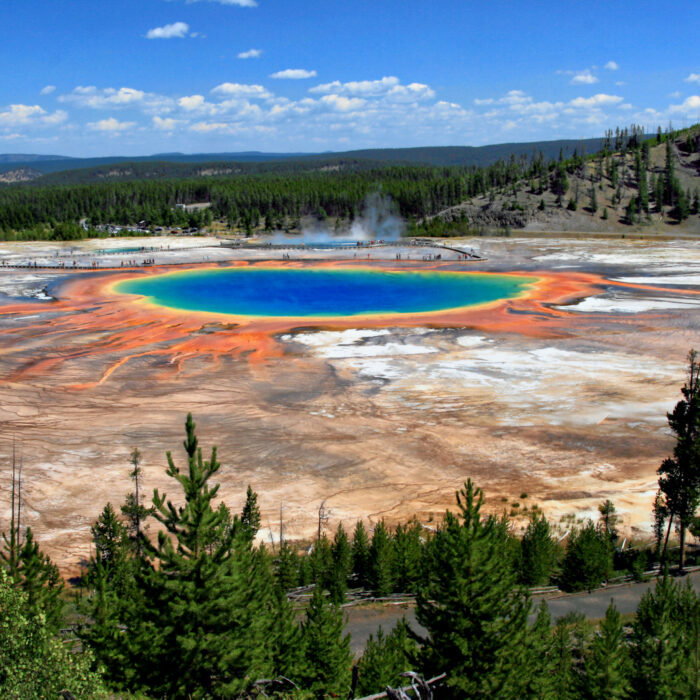 Yellowstone National Park rests on an active volcanic hot spot. This national park showcases some of the most unique north American landscapes with dramatic canyons, rivers, hot springs, geysers, and lush forests. It is also famous for its vast biodiversity. This 6 million year old canyon in the state of Arizona, reveals millions of years of geological information. With breathtakingly beautiful views and temperatures that often exceed 100 degrees Fahrenheit on summer days, this eco-region is one that is very special to the United States. This marine sanctuary is one of the largest of thirteen National Marine Sanctuaries admitted by the National Oceanic and Atmospheric Administration. 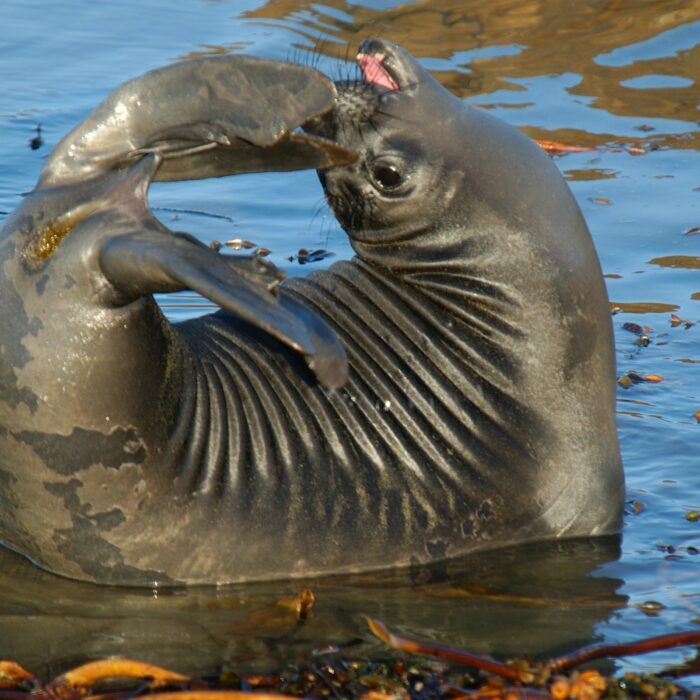 Among many other things, the sanctuary provides habitat for 34 species of marine mammals, 94 species of seabirds, and 345 species of fish.